Condition/Comments: A very unusual piece. The unlit display commands “Have a bottle now”. 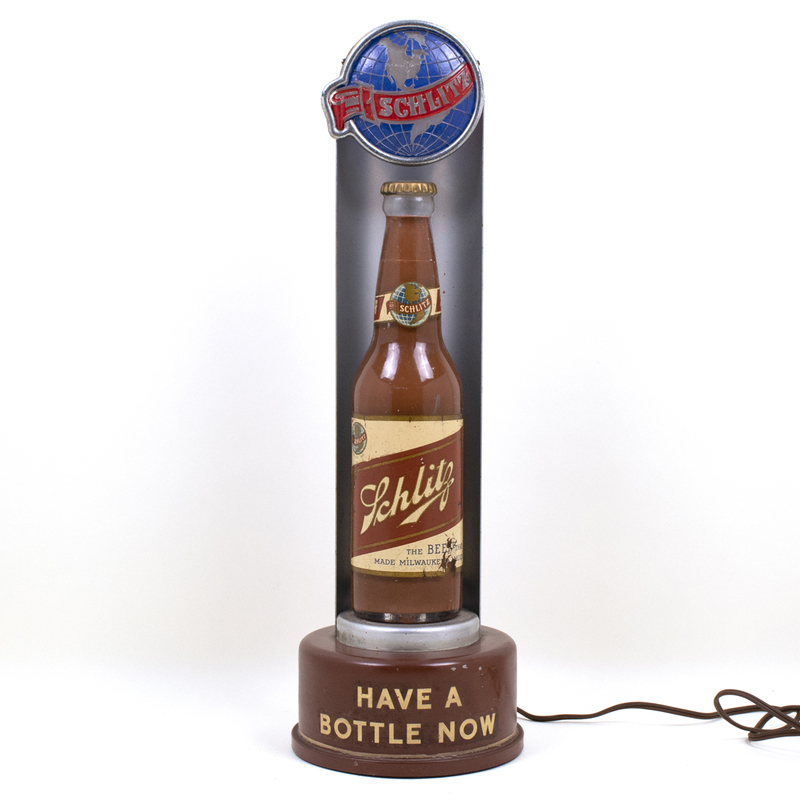 When lit, the text is hardly visible but the bottle comes to life, glowing beneath the Schlitz logo in rich amber hues and suddenly appearing very liquid-like. (note that this is not a motion or bubbler sign). Condition is very good, with the only notable wear being some loss on the label of the bottle. This is the only one of these pieces we have had the opportunity to handle. Rare.